New Directions: Meet Valerie S.
When you enter into the nanny profession, some of us know from the beginning that this is what we want to do for “life” Some are only doing it for a few years until a goal is met. Even the best laid plans can change. You get married and move to a different city, you have children of your own, the children you care for go to school,something unexpected happens and your employer loses their job. Jobs end for lots of reasons, the industry changes, the economy tanks and there it is: The fork in the road.Yogi Berra (the famous baseball player) put it like this: If you come to a fork in the road, take it. 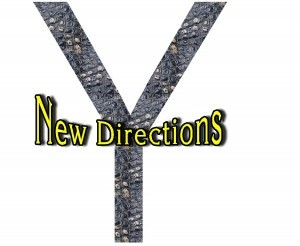 This series called “New Directions” will feature interviews with former nannies/newborn care specialists that branched out into another aspect of the business, had to add something to be able to stay in the profession, or left the profession entirely. Glenda Propst started this series in 2011 for Regarding Nannies. Today we talk with Valerie S. who was in the private home industry in various roles. I worked in the private home industry since 1997 to 2012, so 15 years. How long have you been out of the nanny field? When did you realize that it was time to make a change? My career in the private home industry has had a lot of changes. I started out as an Overnight and Weekend Nanny during college while working on my degree in Early Childhood Education, then to a Live-In Professional Nanny, then to a Live-Out Professional Nanny, then I went and worked for a Private Home Placement Agency placing household staff, then back to the private home as a Professional Nanny/Personal Assistant and then ended my career as a House Manager/Personal Assistant/Nanny. I had a baby. I had originally planned on going back to work after having my son, but I was laid off a month before the birth of my son due to some changes that took place for my employers. No, not for the reason that I had to leave! I love raising my son. I’ve always at positive changes in every career change I have had. At first, it’s scary. Change is scary, but I am an open-minded person and believe in everything happens for a reason! Do you stay in touch with any of your nanny friends? Absolutely! Facebook is a great resource to do so! I do. As a mother now, I’m even more in-tuned! Are you happy? That would be the question that I would ask myself. Life is too short to be in a job that you just hate going to every day. This doesn’t necessarily mean that every nanny job will be like this, so be open minded and look for other opportunities before giving up on the industry. You just may not be the right fit for the family or vice versa! I would! I’ve been keeping my eye out there for another amazing position to open up! I love working in the private home! I just recently found a direct sales company to help supplement some income for the time being and I love it! I found a company called Origami Owl that was started by a 14 year old in 2010 to save money to buy a car. You can find me on my website or on Facebook I will also be at the 28th Annual International Nanny Association conference April 12-15, 2013 as a vendor. I hope you will come stop by and say hello.